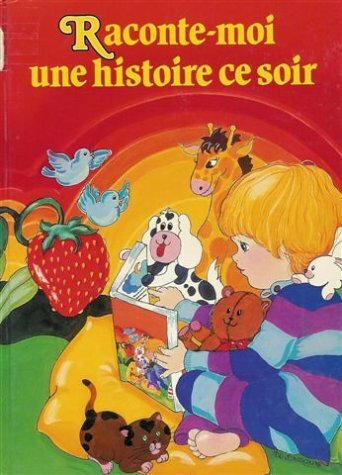 When I was a little girl, I had a book (well actually it was my big brother's) named "Raconte-moi une histoire ce soir". For every day of the year, there was a short story to read before going to sleep. I loved this book so much!!! On January 04-05-06th, you can read the tale of Rapunzel. Oh this one, I read it and re-read it and re-re-read it, lol! Well, for the little girl with a very long blond hair that I was, it was quite a fascinating story, eheh! So obviously, when I saw the prompt of today, I immediately wanted to do a Rapunzel mani. A freehand nail art was my first idea, but I didn't have the time, or rather the courage (lol). So I tried to find another idea... I thought I could find some fairies or fairytale related designs on my stamping plates. And what did I find? A MoYou plate with Rapunzel on it!!! Yay! I had totally forgotten about those Fairytale collection plates, oops! I was so happy!!! I grabbed my Über Mat and did some reverse stampings. And it was not that easy... my clear stamper didn't picked up the image properly and my all-time favorite stamper didn't want to transfer the pattern on my mat! WTH?! After several several tries, I finally stamped the two first images. But, not the other ones... So for those, I did some stamper decals instead and it was a success on the first try! Phew! - stamping: MoYou Fairytale Collection - 04 and an old black polish. - index: Barry M Blueberry Ice Cream and a mix of Kiko 355 Canary Yellow and Kiko 323 Milk Chocolate for the roof of the tower. - middle finger: few spots with Kiko 325 Grey Green and OPI Skull & Glossbones. - ring finger: Kiko 355 Canary Yellow for the hair, Miss Cop n°43 for the face, Kiko 290 Dark Magenta for the flower and piCture pOlish Wisteria for the dress. - pinky: same polishes for the hair and Kiko 534 Green Forest for the "trees". What do you think of this mani? Did you recognize Rapunzel before reading it was her? Oh and btw, did you see that I changed the design of the blog? To celebrate spring, I added some colors and I made a new header ♥ Happy Spring everyone!! !